开发者 : Ten Square Games S.A.
mobile game - Hobby in your pocket! Enjoy fishing with this season's most realistic fishing simulator! 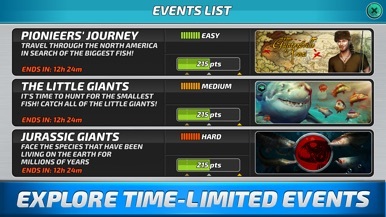 Collect booster cards with fishing equipment and upgrade your professional fishing tackle in best free fishing game of 2017. 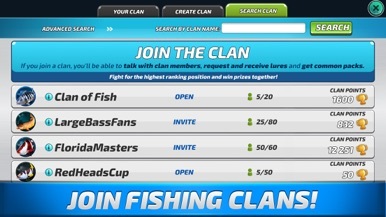 Join our elite fishing club and catch a real trophy - big fish. 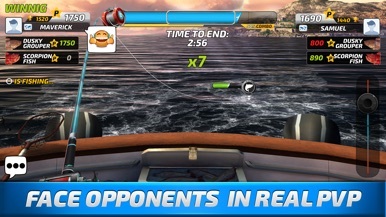 It’s time to go fishing with Fishing Clash - free fishing simulator, a new 3D game from Ten Square Games, the producer of Let's Fish app. 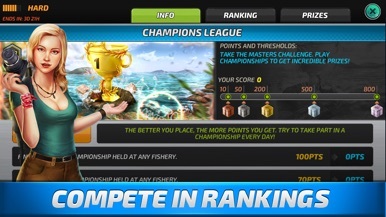 Fishing in a truly world sport style!Join the most popular sport in the world with the best free fishing game available for mobile devices! Take part in sport events and fishig tournaments, compete with your friends to hunt down your next catch and reel your big fish in! 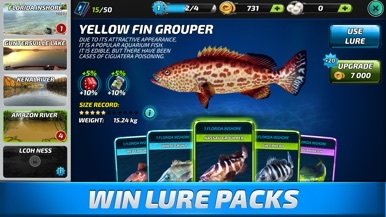 Enjoy a fishing adventure in the America’s greatest outdoors and visit stunning fishing locations through gripping and addictive gameplay – Catch the fishing fever this season with the ultimate, most realistic fishing simulator app. 更多 Ten Square Games S.A.